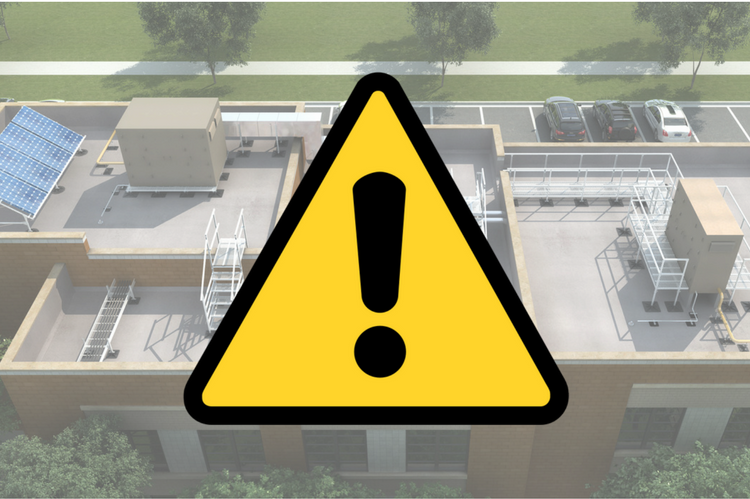 A new commercial rooftop is an investment, one that doesn’t always come at the most opportune time for business owners and facility managers. It’s understandable that you might want to put it off – the question is, can you? Waiting too long is a big risk, one that may end up costing you even more in repairs and you will still need a new roof. How do you know when you are at the point that a new roof is a necessity instead of a luxury? There are some clear indicators that say it’s time. The big hurricane, snowstorm or tornado finally hit and now your roof is showing clear signs of damage. Even the year-to-year wear of the changing seasons is enough to impact the safety of the roof. The Wind, water and changing temperatures take their toll, so look for loose material and other signs that your roof has weather damage like water stains in the interior. Damage rarely spreads evenly over the surface of the roof. Sagging indicates weakening in the structure and it generally occurs one section at a time. If you see sagging, it means the material is rotting and weak. Moisture has infiltrated the roof and is causing deterioration. The sagging may also be an indicator the current roof is substandard or poorly designed. Rain can puddle in specific areas leading to weight damage and, eventually, sag. Leaks are one of the most obvious signs that the roof is in critical condition. A leak shows that water is getting past the roof surface through a break, causing all kinds of damage along the way. Once you see interior leaks, first you need to identify the source and then look at the structure of the building to see what else needs replacing besides the roof. Cracks inside the building are a sign of structural problems that may lead you back to the roof. Superficial cracks are common because the changing temperatures cause the material to expand and contract. Big cracks are another story. Those can indicate there is moisture seeping into the walls causing them to bloat and weaken. The roof is one of the first places you should look when trying to identify the source of the leak, especially if there are no pipes behind the wall. They can be temperamental at times but if this is a change in behavior for that door or window, there must be a reason. Start with an inspection of the roof looking for other trouble signs like sagging or loose material and work your way down to find the source. That shifting in the frame of the door or window may indicate a movement that will lead to roof collapse. If in doubt, have a commercial roofing expert come out and evaluate your building. It is better to know that you’ll need a new roof soon than to ignore the obvious warning signs.